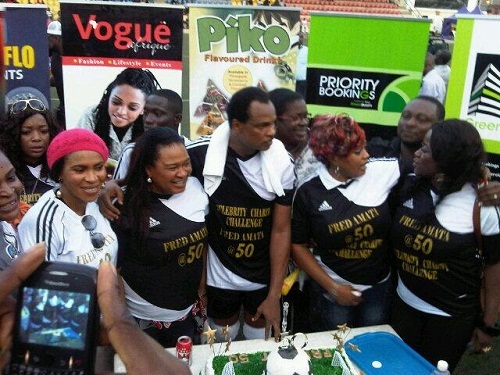 On Wednesday May 15th, 2013, Nollywood stars and former Super Eagles players honoured Nollywood actor Fred Amata’s 50th birthday celebration. 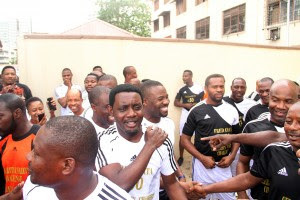 A novelty match between Nollywood and Super Eagles ended with 3:4. 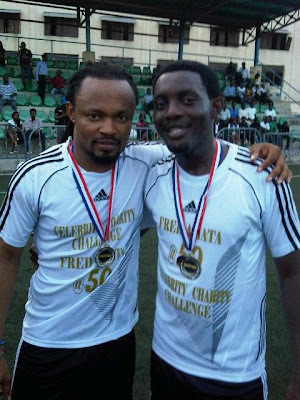 Popular comedian Ayo Makun aka AY scored 2 out of the 3 scores by Nollywood. 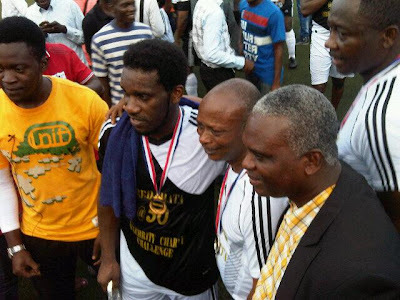 Ex-Super Eagles Middle fielder Austin Jay Jay Okocha scored 3 out of 4 goals by Super Eagles. 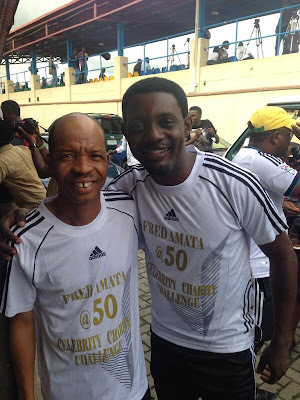 Nice one bro as you celebrate your 50th birthday may give u cause to rejoice. So he don old reach like that!!!! 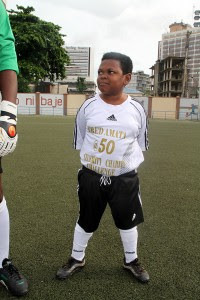 And he still dey play a-young-bo with women? 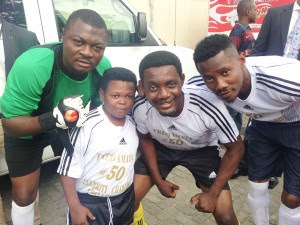 Mr 50 years old,ain’t u supposed to have ur wife by u?d same people who deceived u dat she was too ugly for u,have dey given a more beautifulwoman @50?i don’t Agatha one on one but I love her because she is a strong black woman and that she became to ur shame!!!!!!!!! 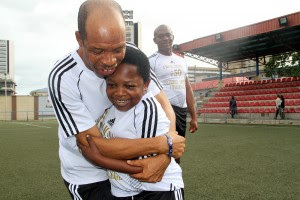 !i tot Fiberisima would be by ur side……U are a disgrace @ur Age,all d birthday effizzy cannot erase dat!U have not for one day got ur priorities right. « Tonto Dikeh Vs Yvonne Nelson In Bikini – Who Is Hotter?